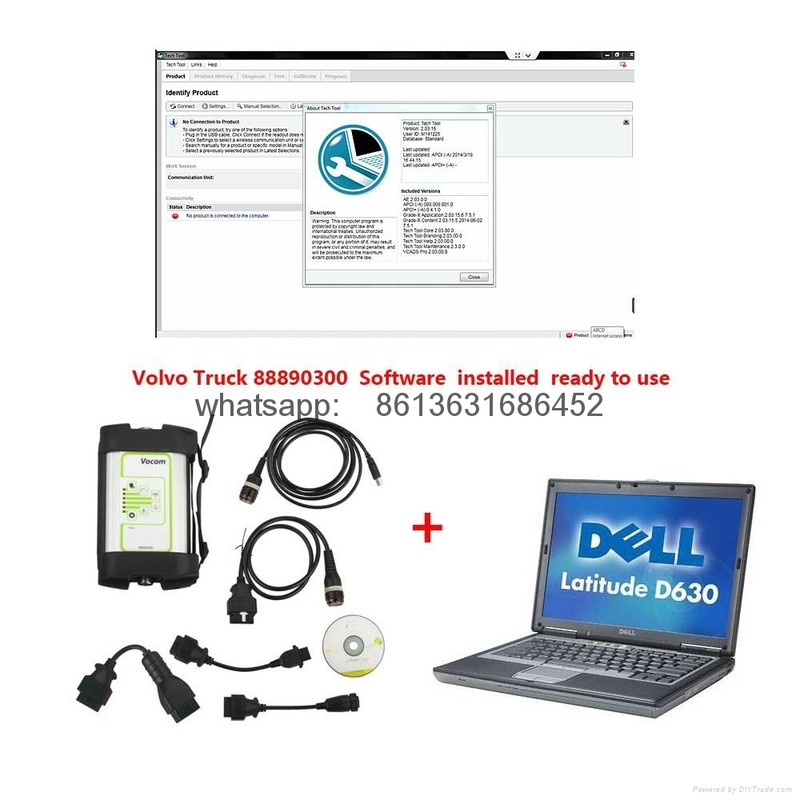 Truck Diagnostic Tool Volvo vocom support wifi for Volvo/Renault/UD/Mack, now software ppt 1.12 installed on laptop Dell D630, you can use directly. Volvo 88890300 Vocom Interface is a diagnostics application that covers the whole repair process through the use of plug-ins. With Volvo 88890300 Vocom Interface you can diagnose, test, calibrate, and program a product. A product could be a vehicle, engine, or a machine. Volvo 88890300 Vocom Interface also provide functions for updating the tool, communication with the product, and other external applications. The set of plug-ins, user authorizations, and available languages is adjustable to provide every user with what they need. 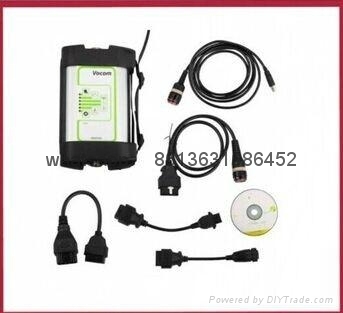 Volvo 88890300 Vocom Interface pakage come with Software version: PTT1.12/2.40 for free, this software must installed on Windows XP system computer. Support Multi-languages. Software version: PTT2.03/3.02. This is latest software version. This software need additional purchase, price is 230usd (if you need software ship by CD you need pay the shipping cost, or send software link via email no need shipping cost). Support install on windows 7 professional or ultratme, support multi-languages.